Why is there an increasing parallel between the list of best companies and list of best supply chain companies? What is the last unchartered company terrain within supply chain management? 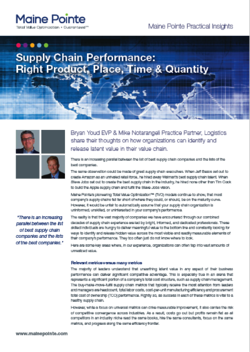 What are the seven sources of latent value across the supply chain?